A blog page can be created in three different layout formats. In addition to the default blog layout, you can setup the blog page with: 2 columns grid (with right sidebar) and 3 columns grid in full width (no sidebar). 2. Type title say ‘Blog’ and then select a template for the type of blog page that you want to create. 3. 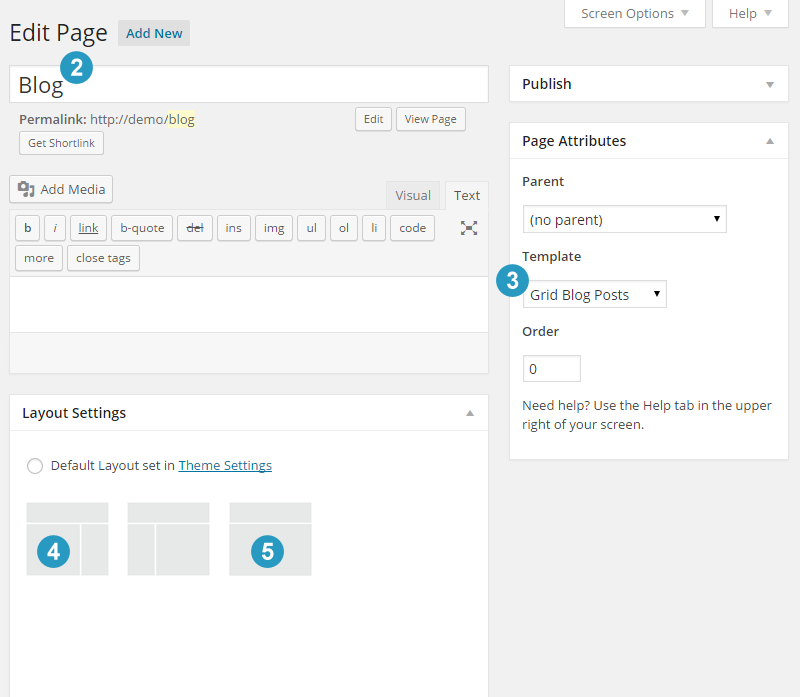 For the default layout, select Blog from the template drop down box and click the publish button. 4. For 2 columns grid with the right sidebar, select Grid Blog Posts from the template drop down box. Then select content – sidebar option from the layout settings. 5. 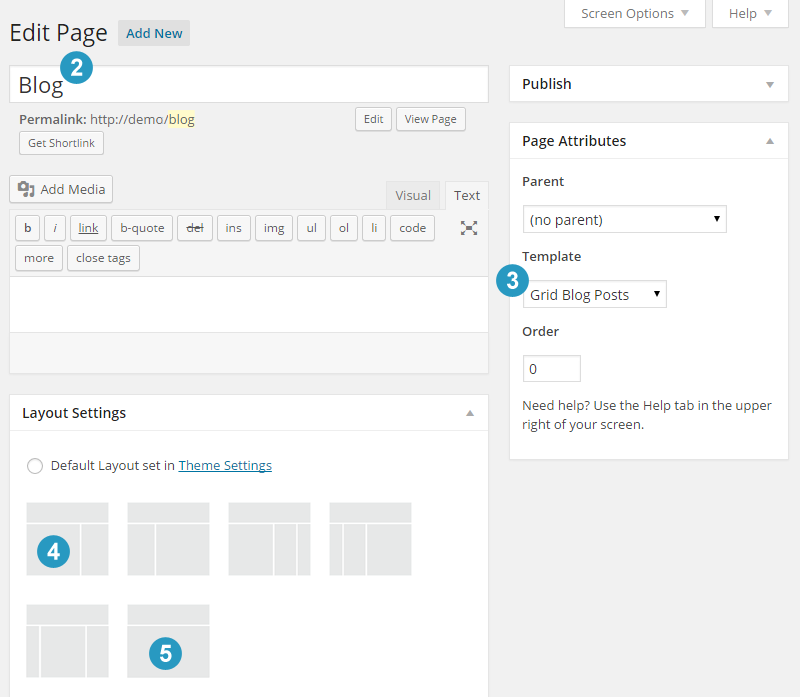 For 3 columns grid without sidebar, repeat the above step 4 of selecting the Grid Blog Posts template. Then select the full width option from the layout settings. Sunshine theme has an additional full width grid posts template. This displays blog posts in 3 columns with their featured images spanning full width (touching edges). Sunshine theme does not support layout with secondary navigation (3 columns).